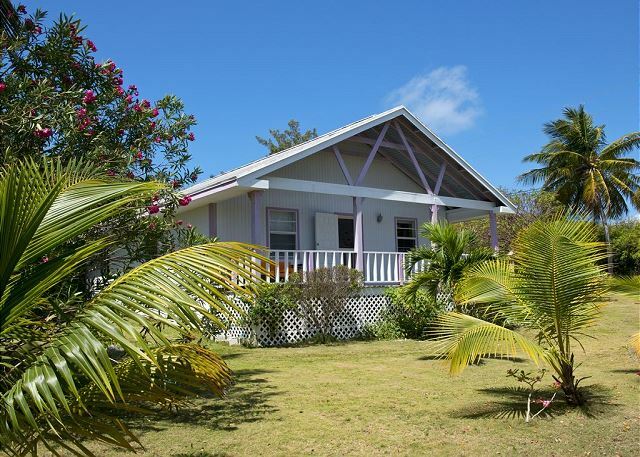 Orchid Cottage is a bright and lovely Bahamian style cottage on a quaint cottage road (Old Bank's Road) steps from the Atlantic Ocean beach. 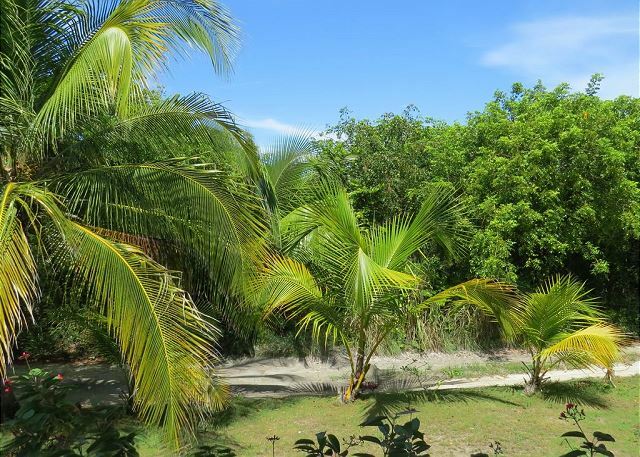 It is surrounded by swaying palm trees, beautiful foliage, and tropical flowers. 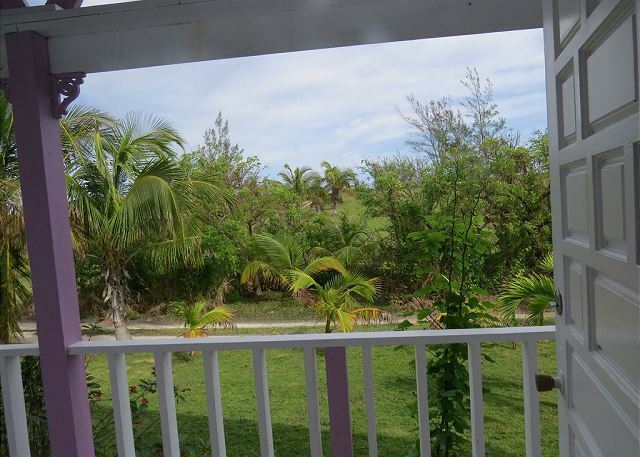 Walk 2 minutes from your front deck and a magnificent ocean view unfolds. 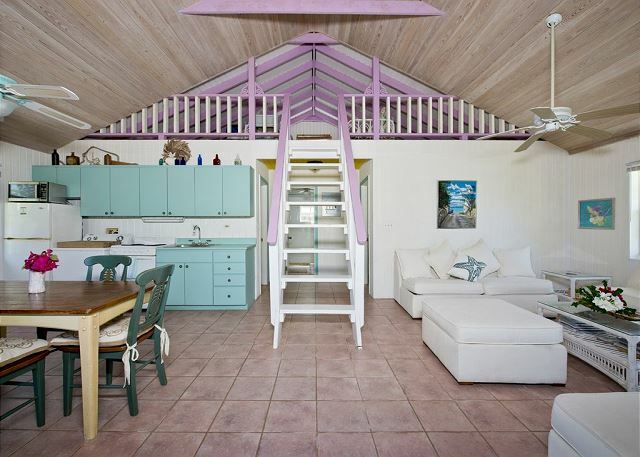 Upon entering the cottage the loft staircase and high ceiling will draw your eyes upwards. 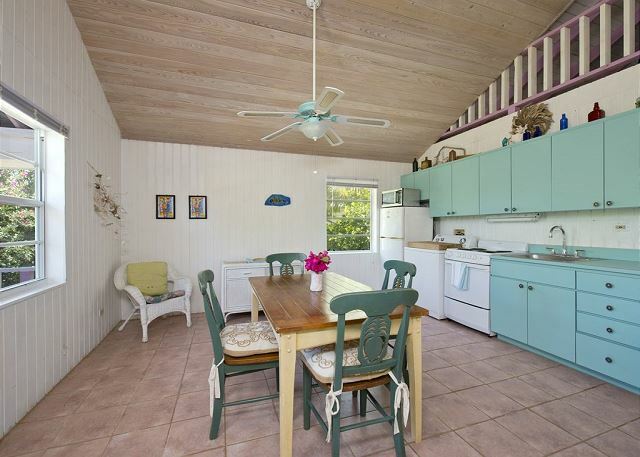 The open concept living room, dining room, and kitchen areas allow for your entire group to interact during cooking, eating, and family activities. 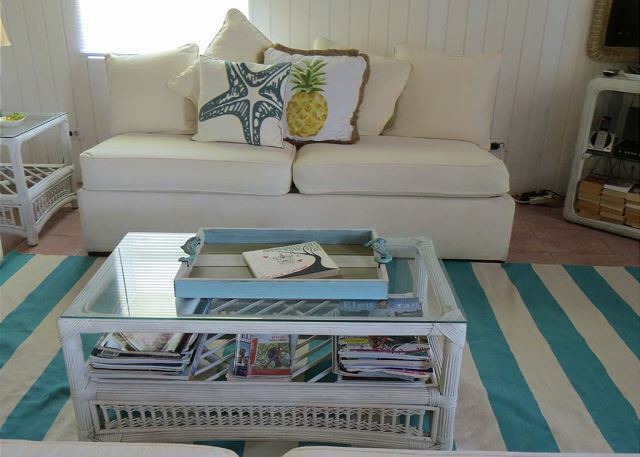 The new turquoise and pineapple accents, along with the white pullout sofa bring a coastal feel to the cottage. The kitchen is equipped with everything you will need to prepare your meals and it also offers the convenience of a washing machine. 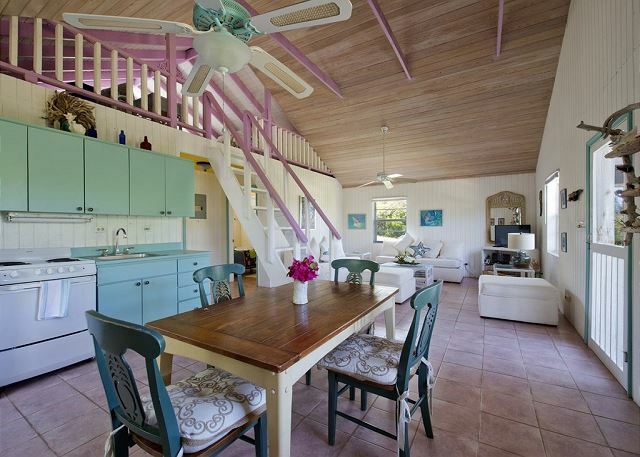 The cathedral ceiling gives the cottage an airy feeling. Enjoy the flat screen Smart TV with access to your Netflix account or watch Youtube. Bring your iPod/iPad/MacBook and connect it to the new stereo system. 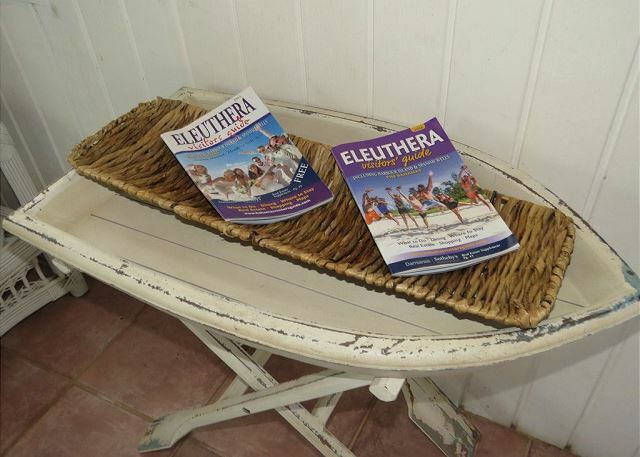 The cottage has two air conditioned bedrooms, each with a king size bed. 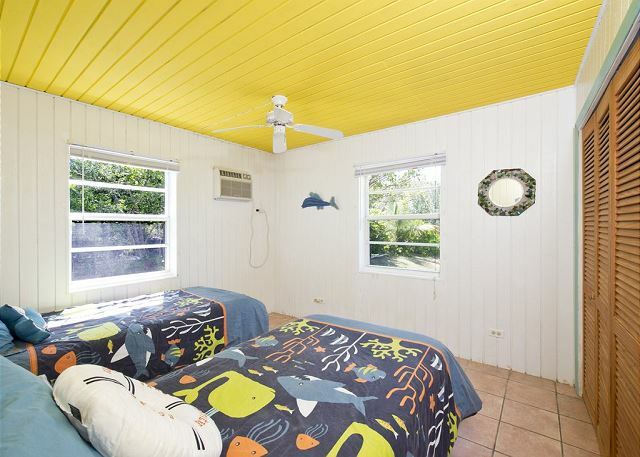 The second bedroom can be converted into two twin beds, if needed. 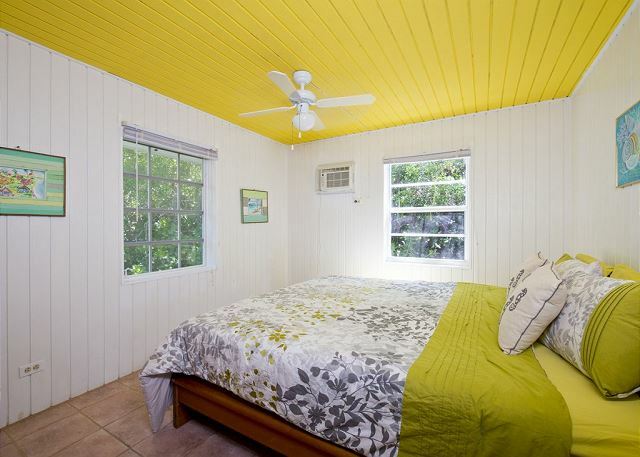 The entire cottage is equipped with ceiling fans along with the 2 A/C units in the bedrooms. 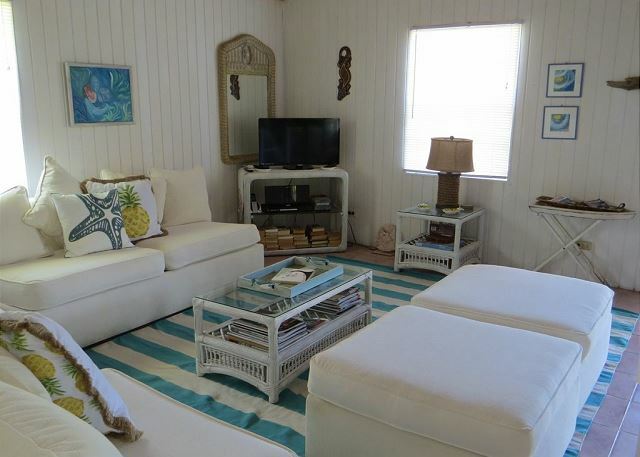 Beautiful linens, bath towels, and beach towels have been carefully chosen to make your stay comfortable. Between the two bedrooms is a newly remodelled three piece bathroom. 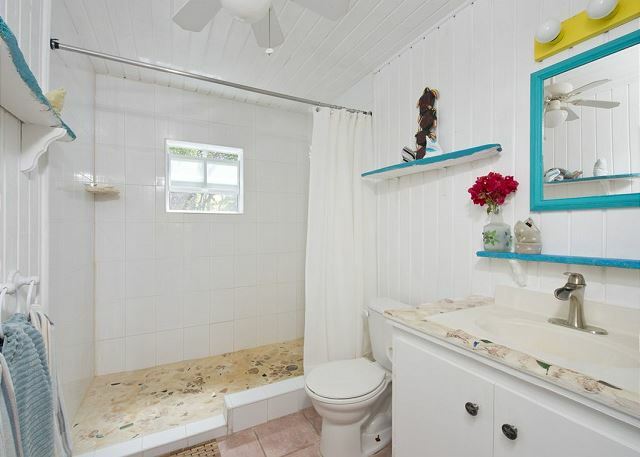 The walk-in shower has sea glass, shells, and pebbles from the Atlantic Ocean embedded into the floor. 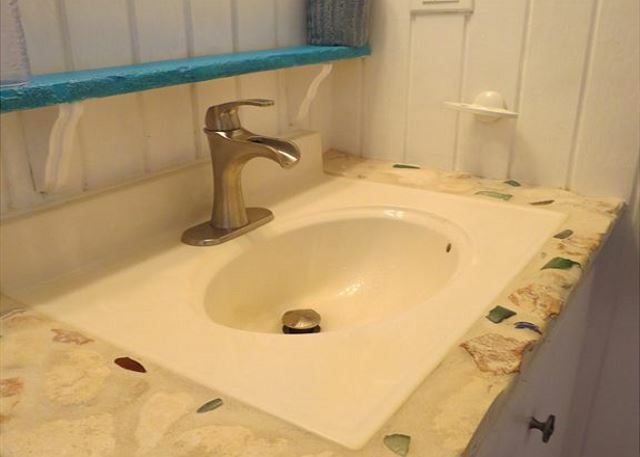 The matching sink and vanity continues the theme with embedded shells and sea glass. Again, tropical colours abound. 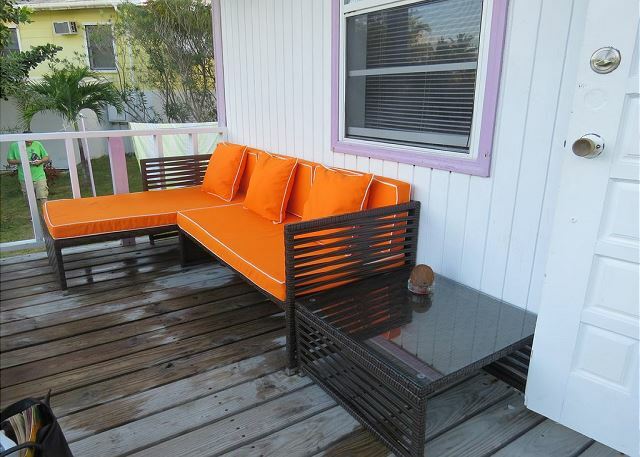 Enjoy spending time on the front deck, while cooking on the charcoal grill or just relaxing in the new outdoor sectional. 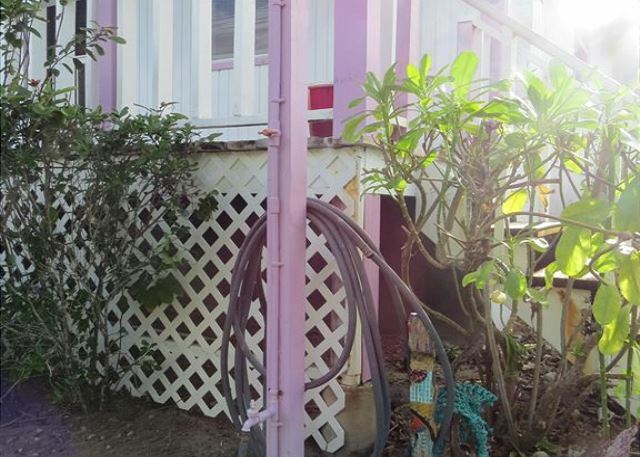 The outside shower makes showering after a day at the beach convenient and adventurous. If you require more space, our octagonal shaped log house with two bedrooms and a loft is also available. 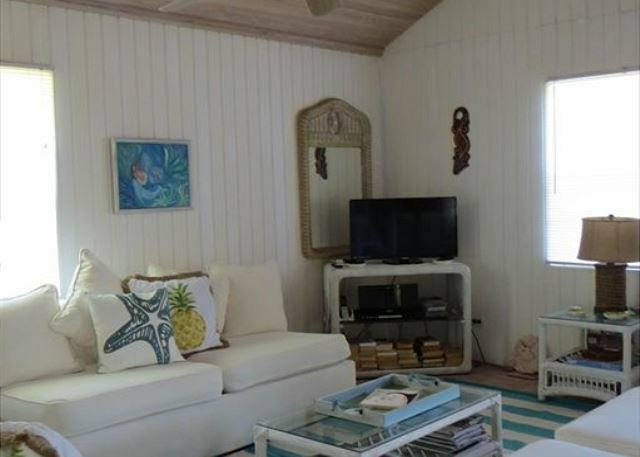 It has an open concept design with soaring ceilings and is located a short distance from Orchid Cottage. 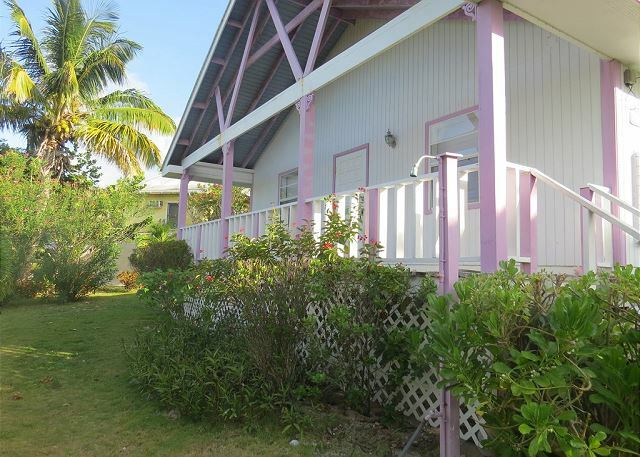 Each property offering nice privacy, with large palm trees and foliage between the two. This would allow your entire group extended space and privacy. Enjoy a day at the beach, while our staff prepares your dinner. 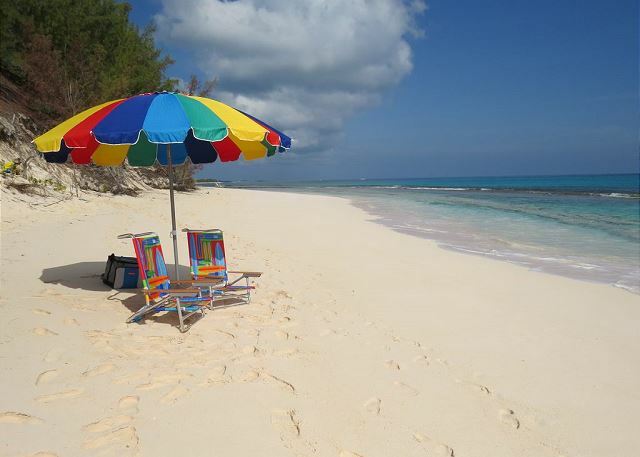 Just ask our property managers to make your reservations for a homemade Bahamian meal. Our staff will shop, prepare the meal, and provide clean up. 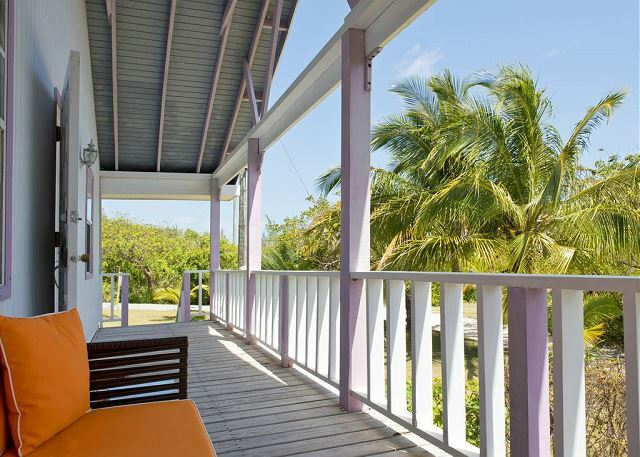 Imagine coming home to an amazing Bahamian meal! 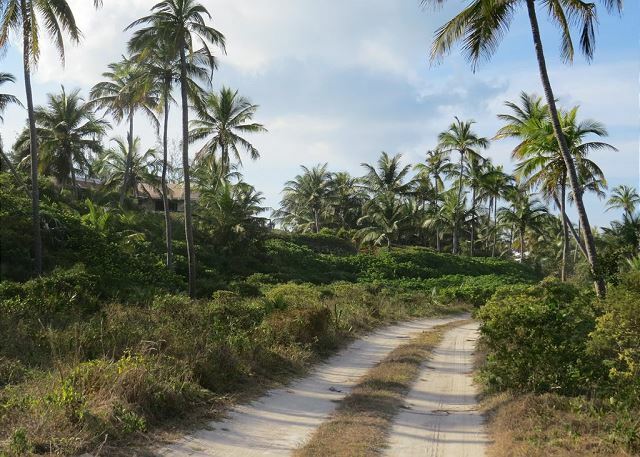 A short walk along our path will take you to one of the most amazing white sand beaches in the world. 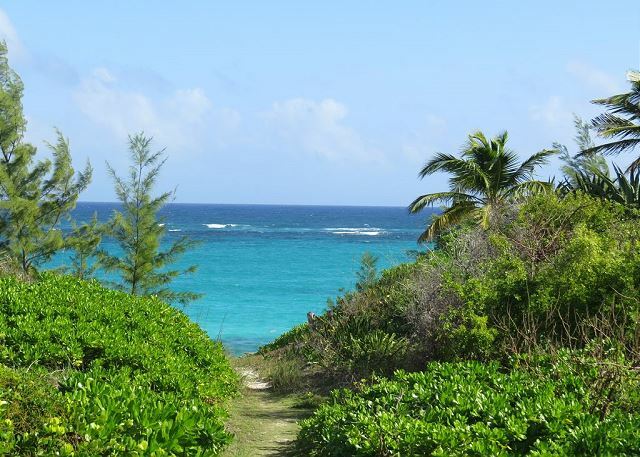 Your first sighting of the turquoise waters of the Atlantic Ocean will take your breath away. 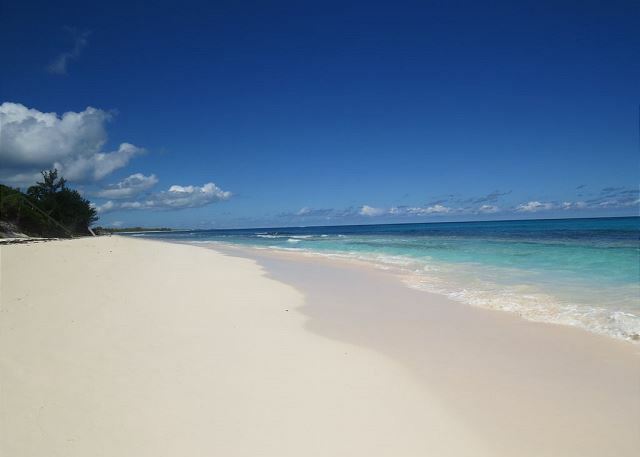 This incredible beach can be travelled for miles. 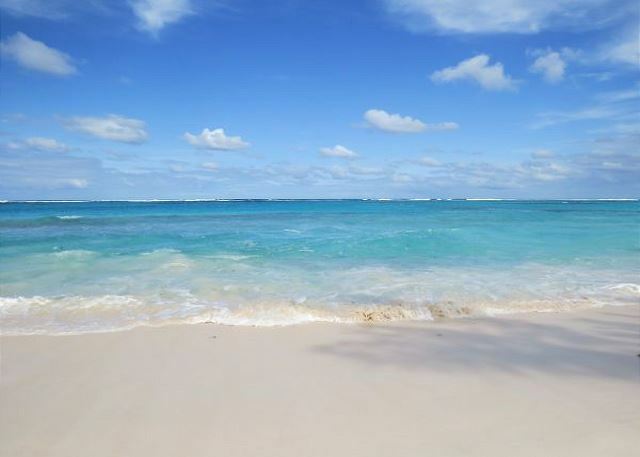 Spend your day sun tanning, shelling, exploring the reef, snorkelling, watching the dolphins, boogie boarding, or building sand castles. Just a short walk (10 minutes) up the road or beach takes you to Sky Beach Club/Pascal's Restaurant. Here you can enjoy the pool, hot tub, and swim-up bar FREE of charge. Ask Sammy to make you one of his famous Bahamian drinks. Enjoy Pascal's amazing food and visit with people around the world. Special daily events, such as the Sunday BBQ and pool party, and Tuesday night bonfire, take place at Sky Beach for the public's enjoyment. 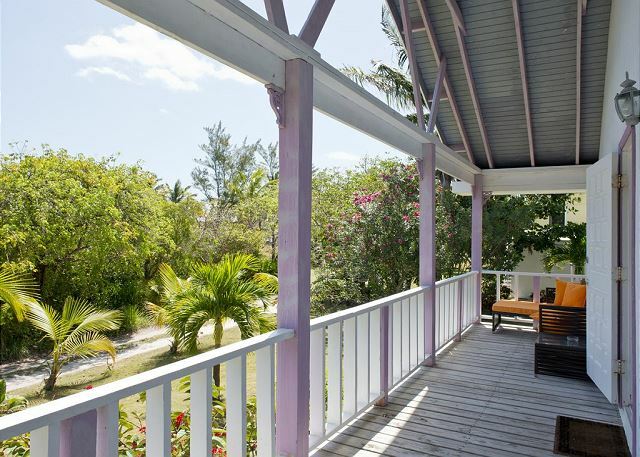 Head back to the quiet atmosphere of Orchid Cottage by walking along beautiful Old Bank's Road or enjoy the scenery along Banana Beach.